Your little one will enjoy playing with the Chad Valley Hobby Horse Dinosaur for hours at a time. 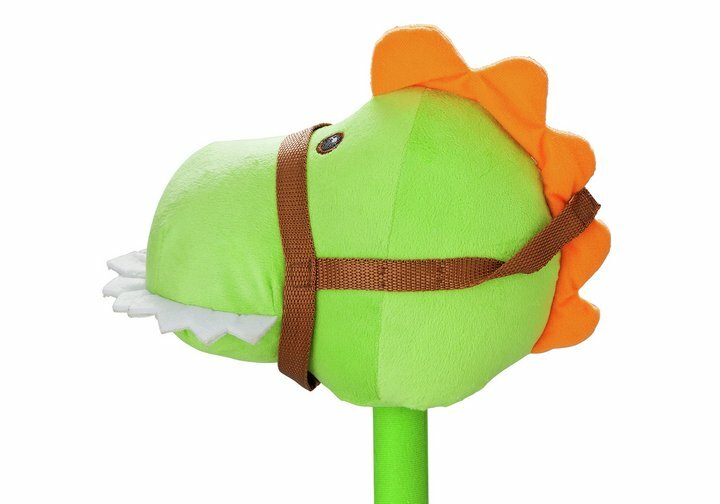 This hobby horse - featuring a mountable stick and super soft plush head (soft green face with an orange comb and white felt teeth) - is fantastic for stimulating make-believe roleplay; your kid will love roaming around the house making dinosaur sounds with this original, themed toy. They'll be sure to get admiring glances from their friends who'll want to join in the Jurassic fun! Size H82, W14, D21cm. Get money off with April 2019 free Argos voucher codes, see if there's a promo code for the Chad Valley Hobby Horse Dinosaur product. Argos may be out of stock of this product. To enhance your shopping experience you may also be redirected to a search results page when you click an outbound link.